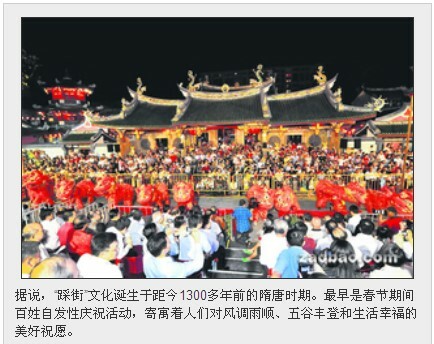 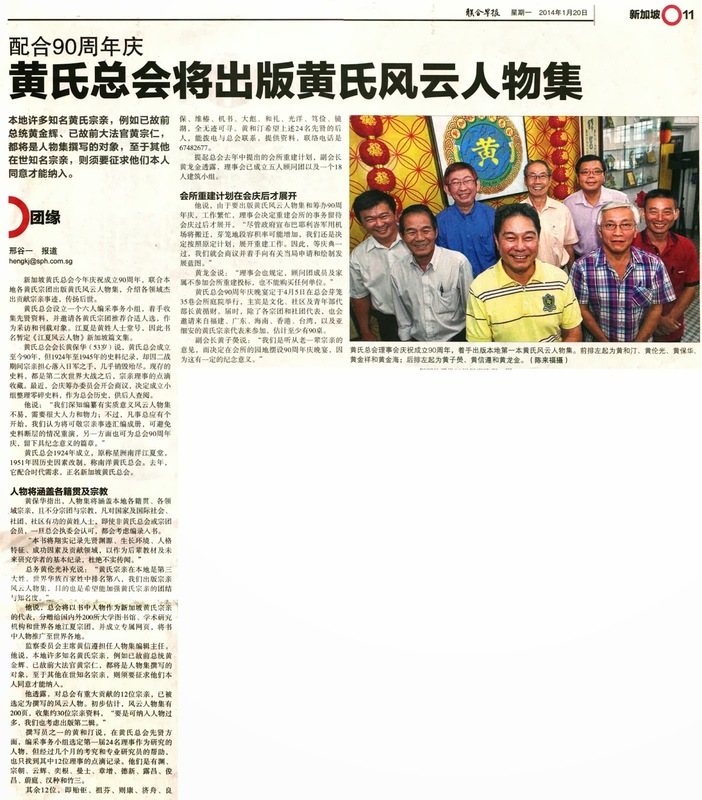 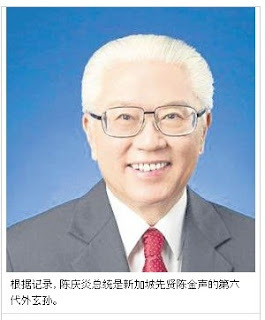 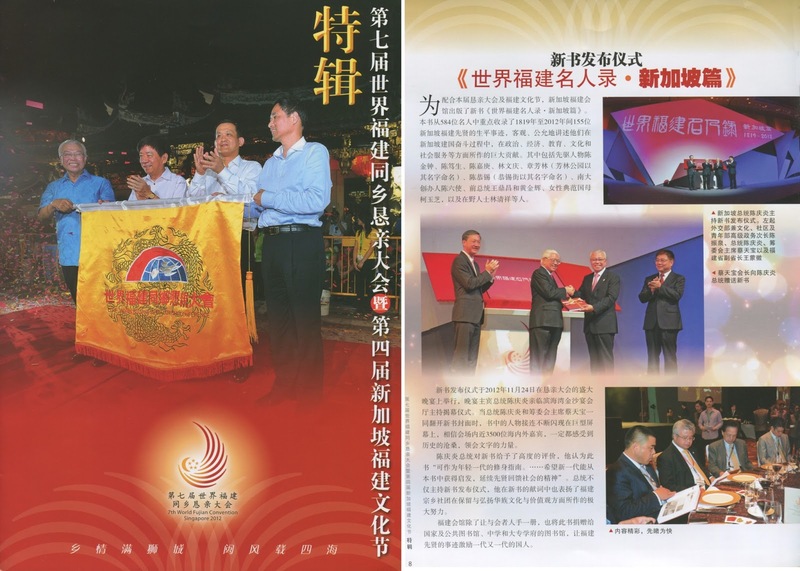 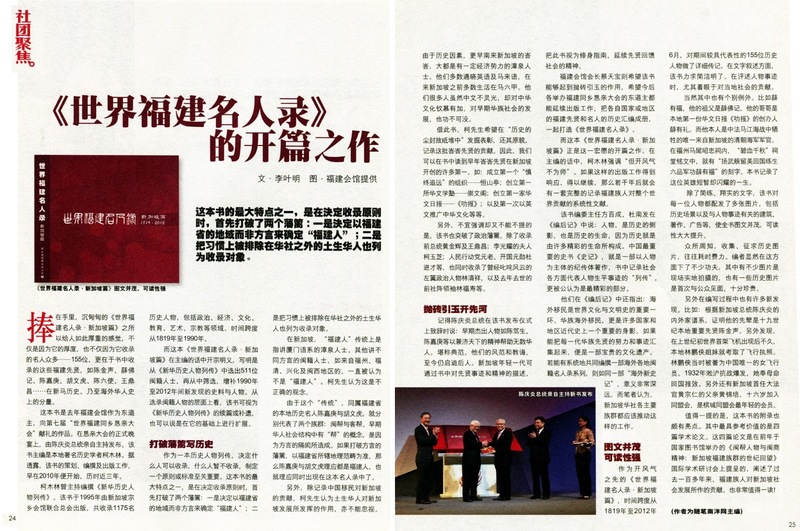 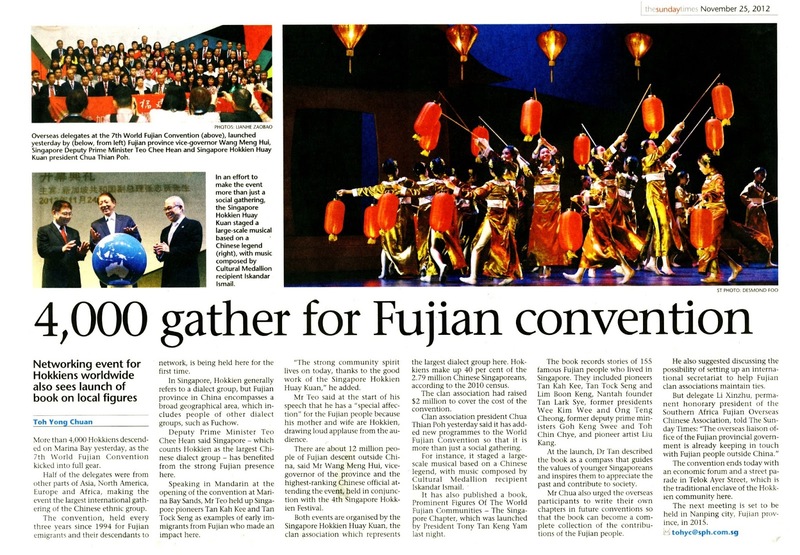 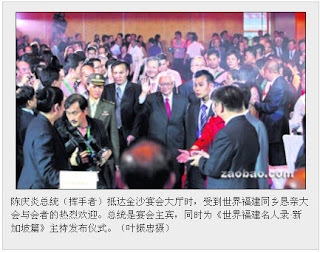 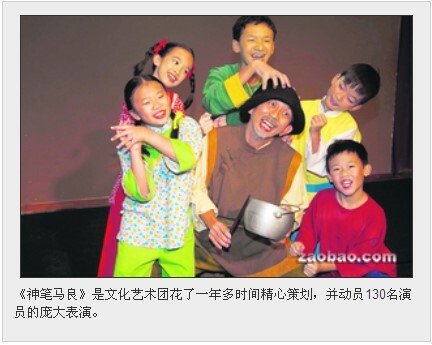 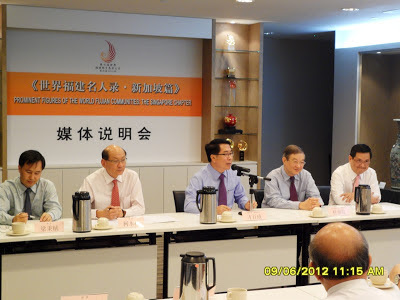 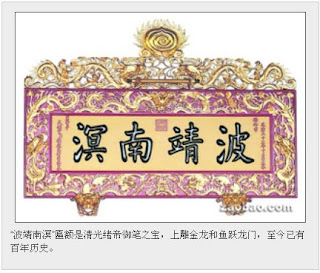 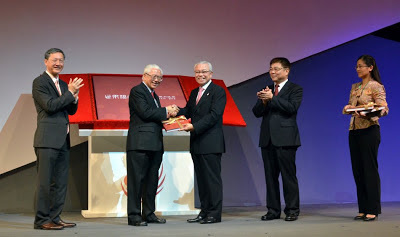 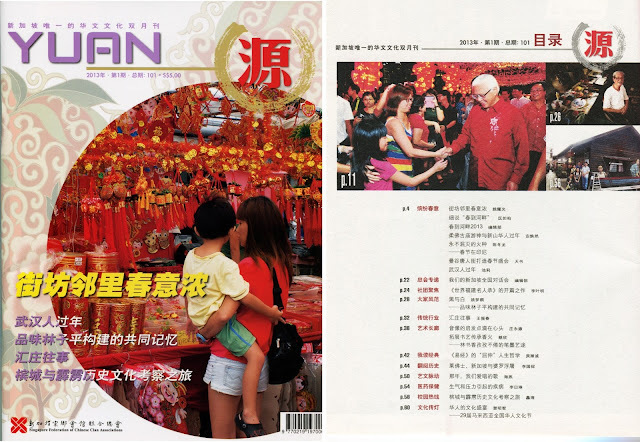 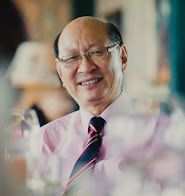 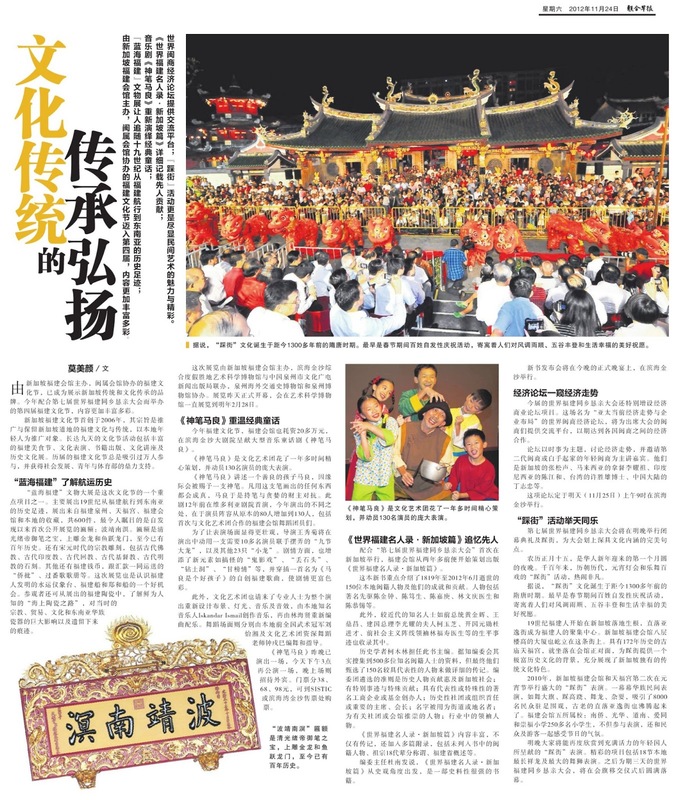 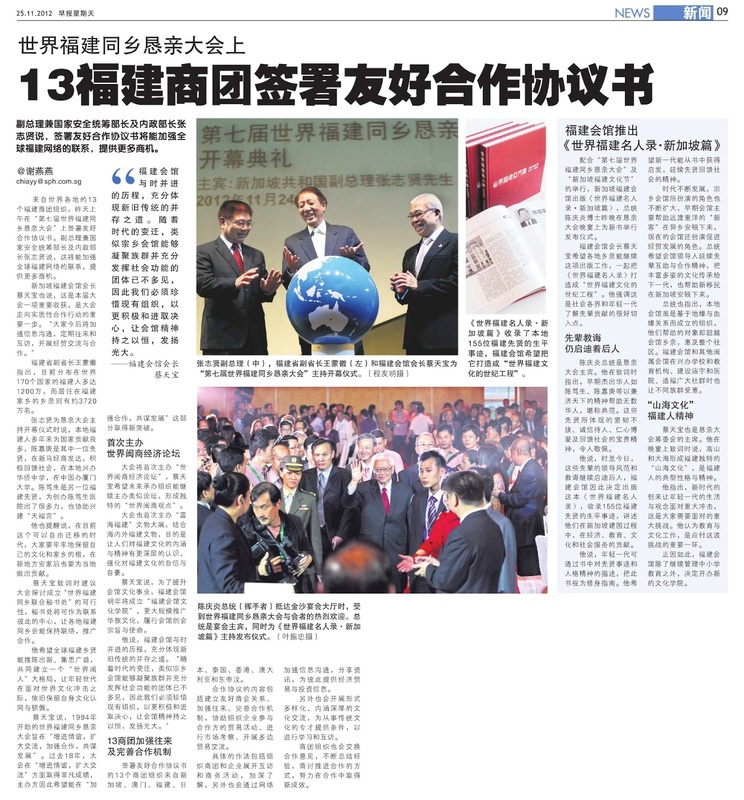 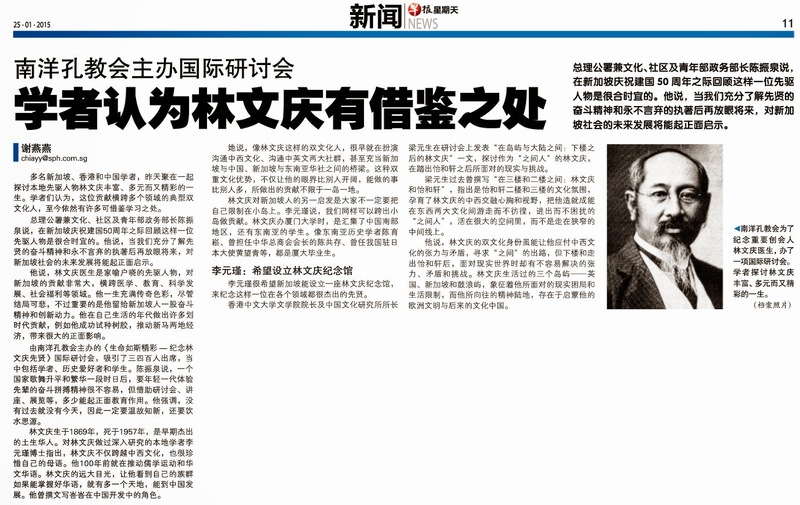 To commemorate the 7th World Fujian Convention to be held in Singapore from 23 to 25 Nov 2012, the Singapore Hokkien Huay Kuay (SHHK) will publish a book entitled “Prominent Figures of the World Fujian Communities：The Singapore Chapter”《世界福建名人录•新加坡篇》. 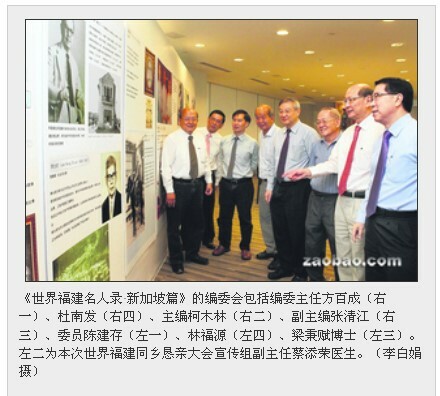 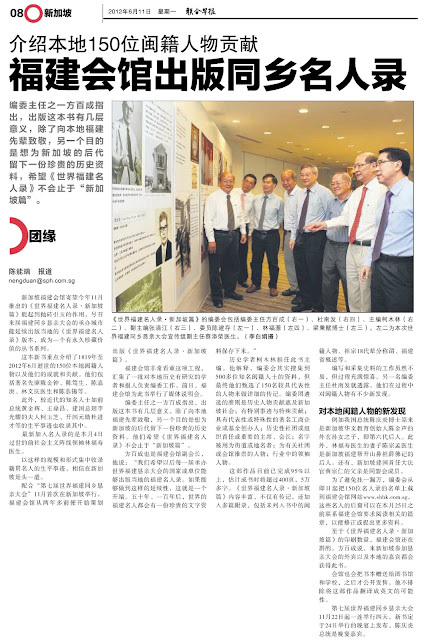 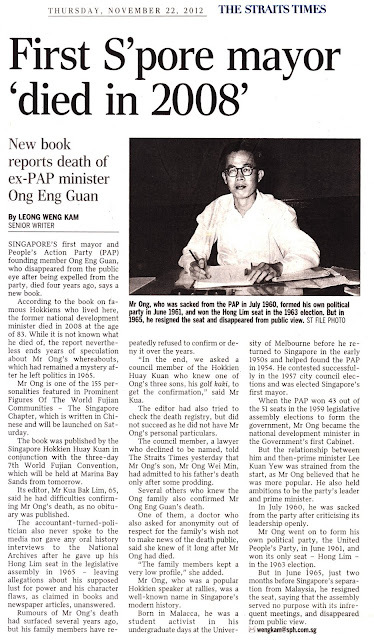 The publication recounts the lives of some 150 Hokkien Singaporeans and records their achievements and contributions to Singapore over the past 200 years. It will be launched in November this year. Through this notice, the Editorial Committee would like to seek feedback from descendents of the 150 Hokkien Singaporeans featured and the public with regard to the accuracy of each write-up. 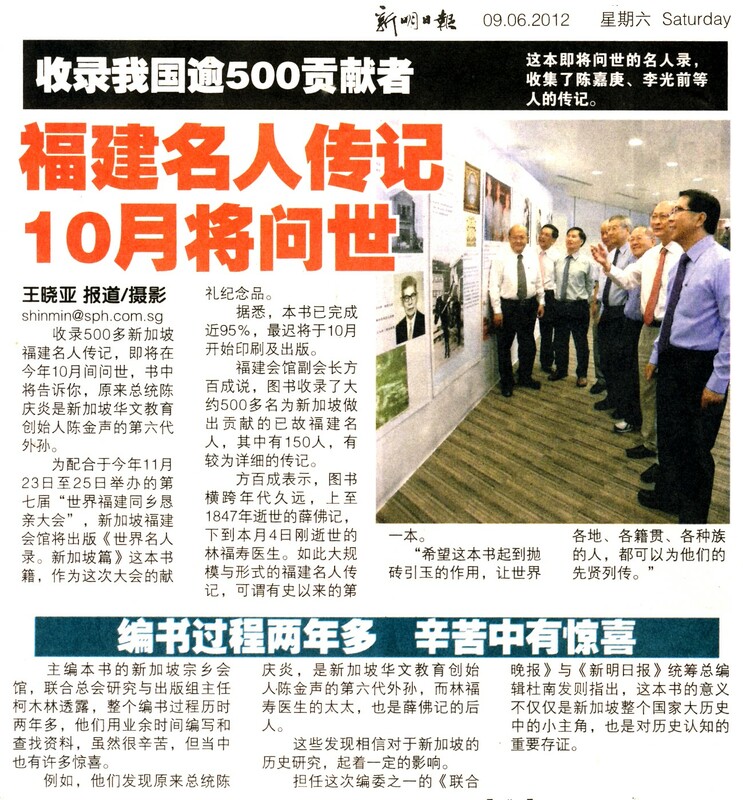 The proposed list of 150 prominent Fujian figures of Singapore for consideration to include in the publication “Prominent Figures of the World Fujian Communities：The Singapore Chapter” is attached below. 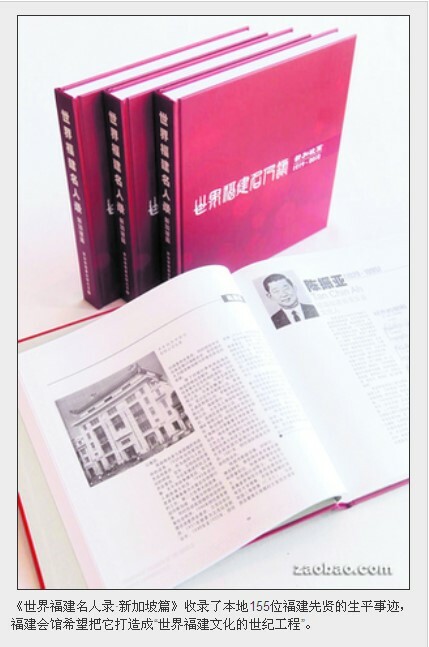 The Editorial Committee reserves the right to decide and select the final Fujian figures to be included in the Publication.